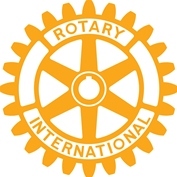 The Rotary Club of Grays Thurrock often has funding available to support individuals or groups living or working in the community of Thurrock. We are also pleased to consider offering practical support for local projects. The Rotary Club aim to be flexible and will consider all applications on their merit. We frequently make donations of between a few hundred pounds up to about £1,000. In order to apply for a community grant you must either live or work in Thurrock and your project must be of a charitable nature that, preferably, makes a positive difference to either the Thurrock community or an individual living in Thurrock. However this is not a hard and fast rule as our community committee will also consider applications that make a difference outside of Thurrock. Please note that the club does not normally make funds available for anything that would generally be provided by the state. By Email - contact the current community service chairman via the link on the home page. Please outline your project and let us know how you think we may be able to help. It is also important for you to tell us how you intend to spend any grant and how your project will make a difference. We look forward to hearing from you and wish you the very best.